i was thinking of doing 295/35/18 in the rear and 255/40/18 in the front, how will that look? i want the sidewall to be the same on both the tires but i'm not too sure on these tire sizes... so what do you guys think would be ag ood combo? or how about 285/35/18 and 255/40/18 ?? what do you guys think? thanks! If you have room for the width, the 295/35/18 in the rear and 255/40/18 in the front yields approximately the same sidewall height of 4 inches. hey pantera what brand tires are those? how about 285/35/18 and 255/40/18 ? The tires are Nitto555's. I would definitely go with the 295's out back. The size looks really good and gives off a very aggressive stance. 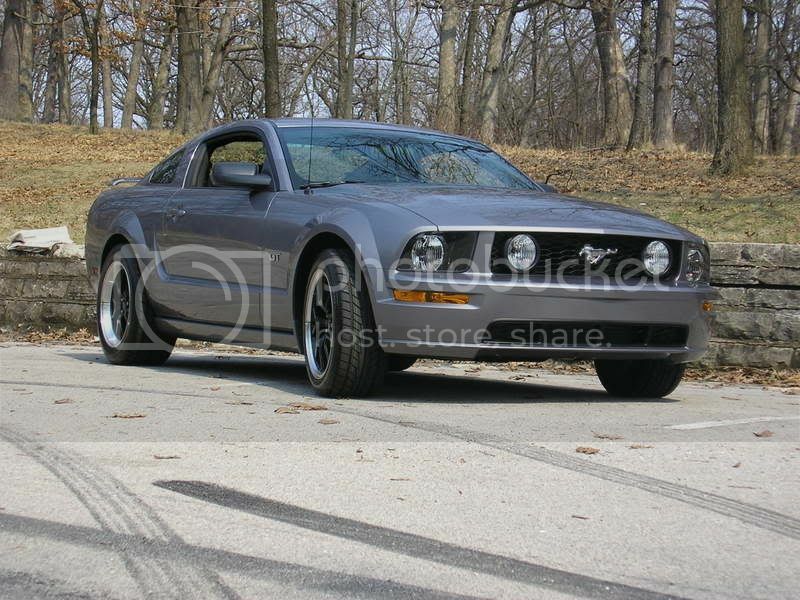 I'm running stock springs on my V6 and love the stance andI kinda like the oldschool jacked up look my car has. If you want to see what a lowered GT looks like, search for posts by member "vocoat". 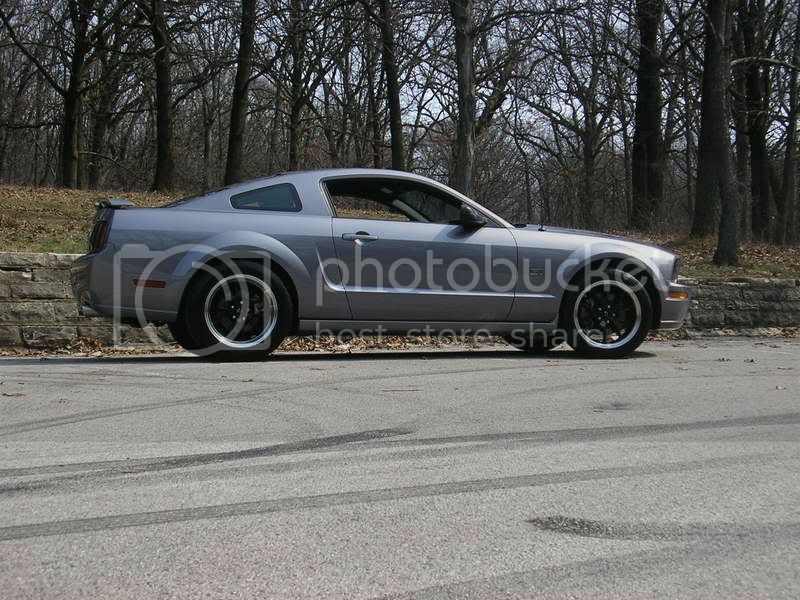 He is runningthe exact same wheel and tire setup, only he's running Steeda Sport drop springs. i would give your self a little more side wall..
More sidewall will give you better launch capability.. I thought you were going to ge lightweightwheels like zigen, BBS. How come you are going the other way now? well i thought about it for a while and i realized its alot of money to dish out for wheels... yes 5zigens are not as expensive as others but they dont come in the sizes i want..
You can put a 285 on a 9 1/2 inch wheel.. I have the same tire setup as pantera, great look and feel.